Planning their wedding for July 27th, their 10 year anniversary, the couple wanted to keep it simple, and envisioned something fun and whimsical. 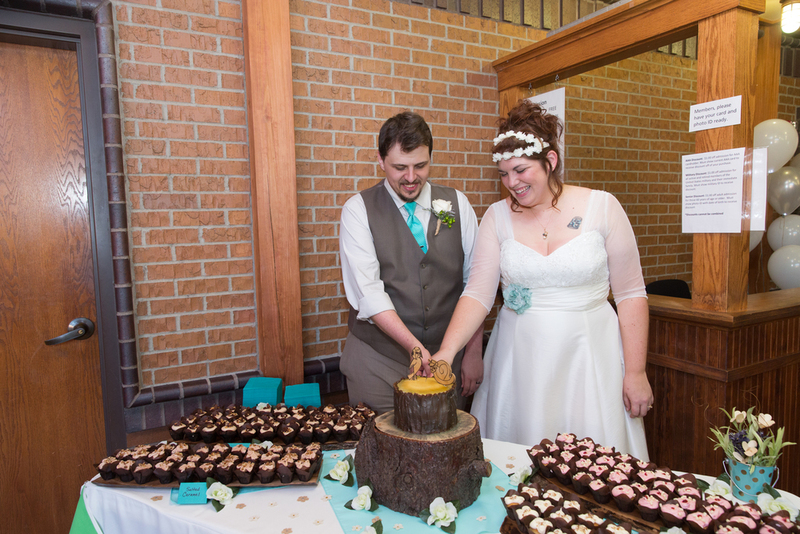 Living History Farms was the perfect fit and they ended up dubbing their style “Rustic Whimsy”. 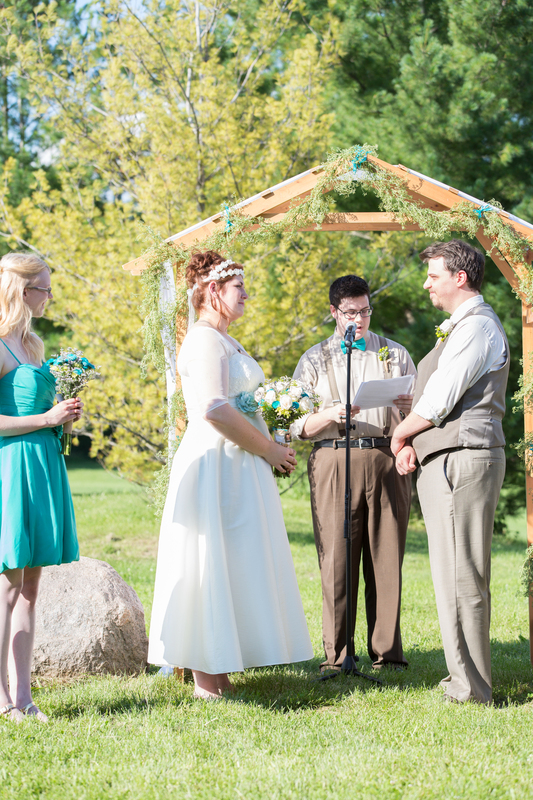 Their main colors were teal and brown with highlights of purples, greens, blues, and gold. 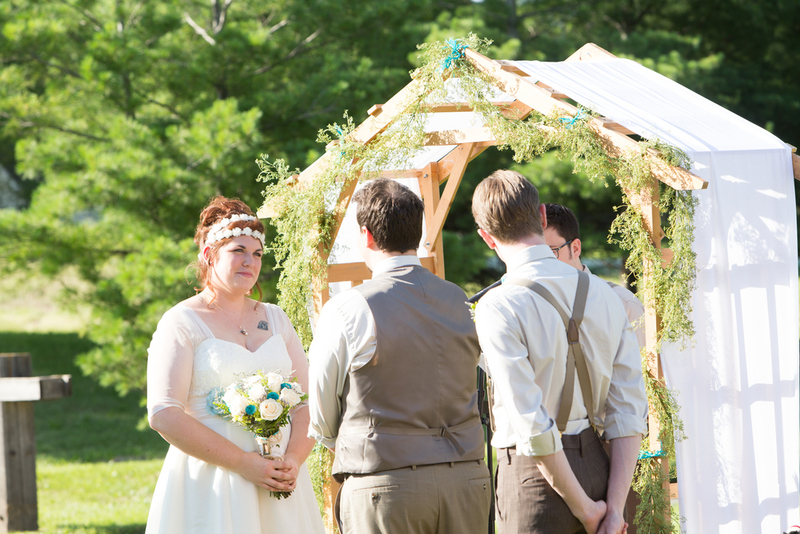 With the help of Theresa’s mom and sister-in-law, they decorated with handmade paper flowers, pennant flag banners, birchwood and fairy light vases, a wedding arch, and lots of burlap. 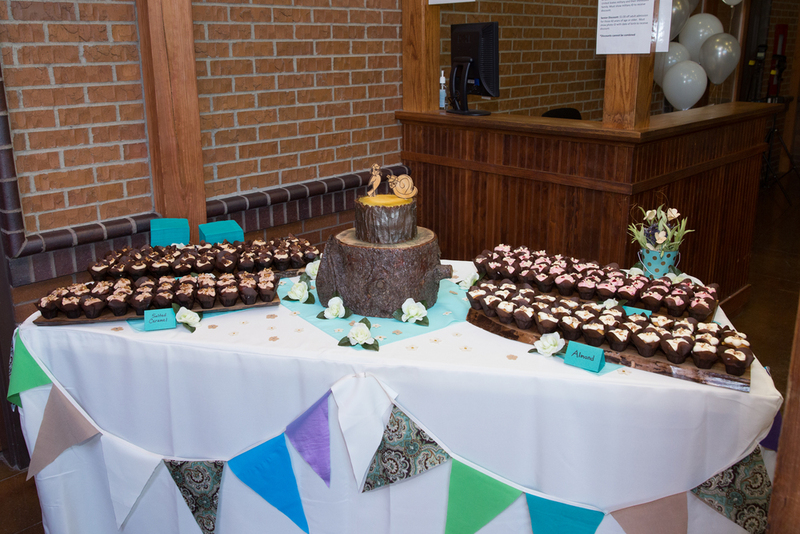 Theresa’s dad and a friend even chipped in making beautifully polished wooden slabs for the mini-cupcakes, and a little stump for the wedding cake. Finally, Theresa worked with Eventfully Yours on the ‘big stuff’ like chairs, table runners, and some ambient décor. Find all the vendors from Theresa and Chris' happy-go-lucky wedding day.